All great things are simple, and many can be expressed in a single word: freedom, justice, honour, duty, mercy, hope. At Woodbridge Primary the Spiritual, Moral, Social and Cultural (SMSC) development of our students is as important as their academic performance. We aim to provide an education that will enable students to develop into confident, thoughtful, reflective and informed individuals with an understanding of their rights and responsibilities within our society. 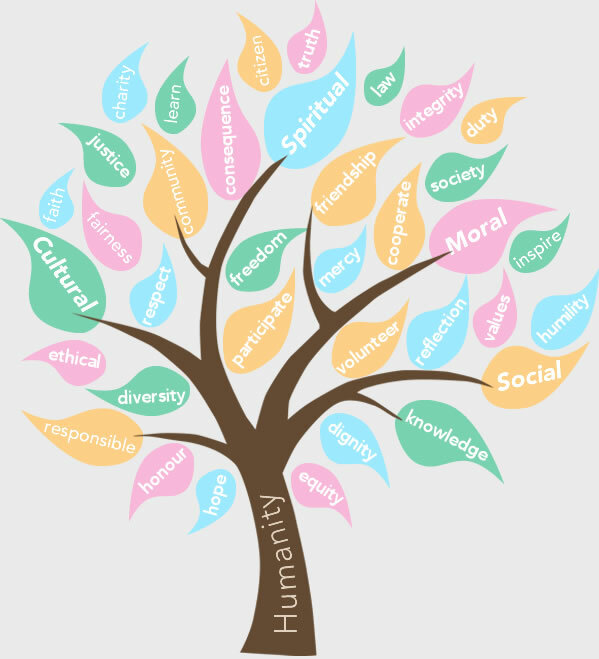 We provide our students with opportunities to explore different belief systems and to develop an understanding and respect for people of all faiths, feelings and values. We encourage our students to examine the world they live in and afford them time for reflection and questions. We help our students recognise what is right and wrong and emphasise respect for the law. We help our students understand consequences and encourage them to investigate moral, social and ethical issues and equip them with the skills to develop and present a reasoned view. We encourage our students to investigate social and topical issues and help them to appreciate diverse viewpoints. We promote participation in voluntary activities; to on occasions put self-interest aside to help and support those less fortunate than themselves. We help our students understand the source of a conflict and help them to develop conflict resolution skills. We always encourage our students to engage positively with everyone around them. We provide opportunities for our students to explore and appreciate cultural influences, participate in cultural activities and to utilise their own in imagination and creativity.